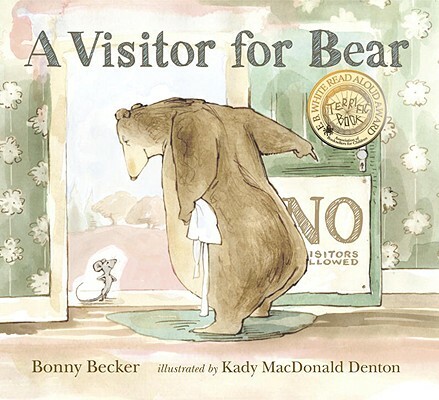 A Visitor for Bear has the feel of a classic, and it’s so cozy that no parent could object to reading it aloud every night. The lively repetition and superb pacing make this an ideal choice for storytime. Charmingly droll, watercolor, ink and gouache illustrations, excellent pacing and the contrast in the sizes of Bear and mouse are a perfect comedic mixture. A surefire storytime hit, <I>A Visitor for Bear</I> won’t wear out its welcome. The characters are highly expressive, making the pictures fun, and the dramatic text will lend itself to reading aloud. A book that warms the cold cockles of even the grumpiest heart…A great readaloud! A picture book at its finest… A delight on every level!